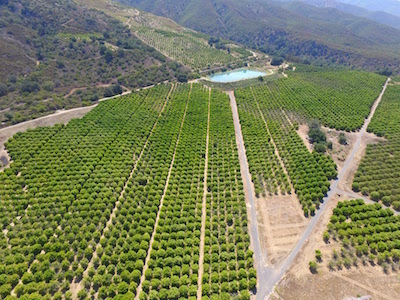 With captured data from the RedEdge Multispectral Camera, EmpowerUAV provides farmers with aerial mapping that will allow them to increase their crop production and produce greater yields in just one season. Our data will create a map that lays out what parts of your irrigation system need to be fixed from a bird’s eye view of the field. We use a thermal imaging camera to detect heat spots, which this will show exactly where a field has a leaking pipe or a broken valve. Finding these trouble spots in your field will reduce your water bill and make your farm more efficient! Contact our Irrigation Mapping specialist Jeff for a free consulation at (619)-990-1640.